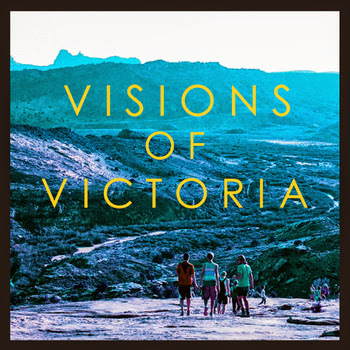 ‘Visions of Victoria’ is a six-track digital EP released by James Li, a Hong Kong native now living in Michigan, and his collaborators under the name Liance. Billed as ‘electro folk’ and a farewell to adolescence, the opening few tracks confirm truth in advertising by being dominated by acoustic guitars, synthesized sounds and lyrical introspection. Digital blips are sprinkled over moody acoustic strumming that builds up to mellow, introspective indie pop in tentative alliance with a drum machine. The more upbeat early-album moments suggest an unfinished version of Pulsars, while the up-front vocals and interesting multi-tracking lend a Housemartins vibe. There are strengths here, but rather a lot of partial ideas bouncing around. The fourth track, Isabelle, is a continuation thematically but a more considered and polished production. Björk-esque percussion and synth bass, keys and strings are perfectly balanced with pleasant dynamic movement and the listener is given plenty of time to soak in the sound. There’s also enough space to take in and consider the lyrics, which are challenging without being overbearing. Massive Attack would be satisfied with output like this. Seventeen Years is a more conventional guitar-based composition mostly distinguished by the unpolished trumpet line. Pleasant in terms of core songwriting, this number could be a genuine hit if the voices were backed up by a few more years of hard living and disappointment, and if they could afford a brass section proper or at least a trombone. None of those are critical failings. The closing number, a postcard from Hong Kong where the intended irony doesn’t quite come across, is well-intentioned but also feels a little young in execution. The album’s themes of displacement and disaffection are clearer via the liner notes – which include progressive lyric sheets with all the crossings-out – and this encourages repeat listens as well as conveying a certain honesty and charm. As an experiment and an exploration featuring frequent shifts in genre and mood, success is mixed, but Liance has a good ear for sound in general and he’ll find where he wants to lay the emphasis in time. I look forward to hearing where he goes next.